There is no definite consensus about which dogs are giant dog breeds. There are a number of breeds which are larger than normal for most dogs. Some people consider dogs that weigh over 100 pounds to be giant breeds, but this can depend on individual dogs within the breeds. The giant breeds do have many things in common, however. Giant breed dogs tend to grow very fast as puppies but it takes them a long time to reach their full maturity. Because they are so large as adults, they have a lot of growing to do. These dogs should not be encouraged to grow too fast. They are already predisposed to have more problems with canine hip dysplasia and with their joints than other breeds. Growing too fast will worsen these problems. Which Breeds are Giant Dog Breeds? These giant breed dogs come from various areas of the world and were bred to perform different tasks. The Borzoi, the Irish Wolfhound, and the Scottish Deerhound are all scenthounds. The Mastiff, the Great Dane, the Neapolitan Mastiff, and the Tibetan Mastiff are all from the Mastiff family, able to hunt large game. 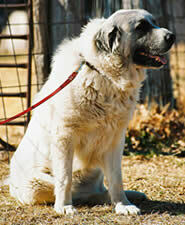 The Anatolian Shepherd Dog is a livestock guardian dog, as is the Great Pyrenees. Giant breed dogs can do many jobs and some of these breeds are quite old, even ancient. In terms of temperament, the giant breeds are often quite calm and mellow as adults. Although they are very large, they often do well living in apartments because they are not very active indoors. They don’t usually require a lot of exercise even when they are outdoors. Many small dog breeds and medium size dogs need more exercise than a giant dog does. Giant breeds often like to lay around and relax. If you have a comfortable sofa for them or you can share your king-sized bed, they will be very happy. On the other hand, many of the giant breeds tend to be quite heroic when called upon. The Saint Bernard and the Newfoundland are both well-known for saving lives, and many of these extra large dogs are capable of saving a person or a child. These dogs are physically strong and powerful and they can use their strength when needed. There are some drawbacks to owning a giant breed. It does usually cost more to own one. Giant breeds eat more food than small and medium sized dogs. And you may need to feed your giant dog a special diet to care for any joint issues or to avoid having problems related to overweight dog. Your giant dog will also likely need bigger toys, a bigger dog bed, bigger collars, and his vet care will cost more. Yes, even vaccinations and medications are measured by size, so you can expect to pay more for a giant dog’s trips to the vet. Having a giant dog groomed can also cost more, and it may cost more if he needs to be boarded at a kennel. The average life span of giant breed dogs is also shorter than that for smaller dogs. Most of them only live between 6 and 10 years. There are some dog health problems unique to larger dogs, including arthritis, osteosarcoma, and other bone diseases, partly due to how fast they grow. There are still many wonderful things about owning a giant breed dog. They are loyal and devoted. They are protective and gentle. They usually love children. And they can make some of the best family dogs. Some very well-known and impressive dogs are giant breeds, such as the Saint Bernard, the Great Dane, and the Mastiff. These gentle giants can make wonderful and loving family dogs. If you like a big dog, there are many good reasons why you might want to get a giant breed. Just remember to weigh the down side before taking the leap. Remember Clifford the Big Red Dog? Cool dog, but quite a handful at times.